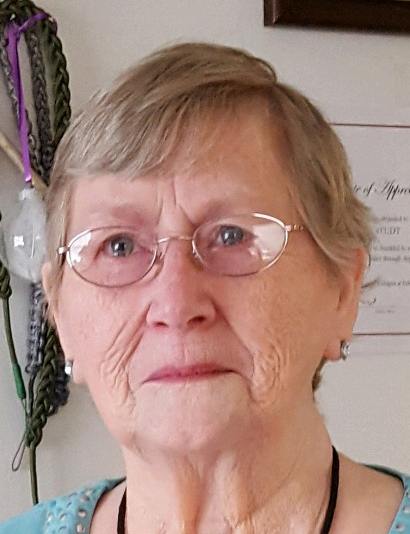 Sandra Blanck Studt, 78, of Kokomo, went home to be with her Lord at 2:32 am Tuesday, June 19, 2018 at the Wellington of Kokomo. She was born November 23, 1939 in Kenny, IL to Elmer and Evelyn (Reynolds) Owens. She first married Harold E. “Gene” Blanck on October 4, 1958. He preceded her in death on December 21, 1986. She then married the Rev. Donald O. Studt on December 26, 1993, he also preceded her in death on May 7, 2015. Sandy worked in accounts payable for Haynes International for several years. She enjoyed reading, sewing, playing card games and spending time with her family. Surviving family include her children, Alan (Denise) Blanck, Marion, IN; Thomas Blanck, Kokomo, IN; Dale (Sherry) Blanck, Crestview, FL; step children Mark (Denise) Studt, Southport NC; Lois (Calvin) Hartman, Kokomo, IN; and David (Nancy) Studt of Noblesville, IN. Surviving grandchildren include, Melissa (Andrew) Buesking, Eric (Kayla) Studt, Adam Hartman, Ryan Hartman, Jennifer Studt and Renee Studt. Surviving great grandchildren include, Isaac Buesking, Matthew Studt, and Baby Studt due in December. Surviving siblings, Gloria (Jack) Hayes, Prinston, IL; Diana (Benjamin) McKenze, Orlando, FL; and sister-in-law, Eva Owens of Bloomington, IL. She was preceded in death by her parents, brother Stephen an infant brother and husbands, Harold and Don.